Parking behind Country Inn & Suites and along the Katy Trail. Live Music in our Moonshine Bar. We offer off site catering and on site event catering options. We also offer carry out of any size. Must give 24-48 hour notice for all large carry out orders. Serving authentic St. Louis-Style BBQ, Hendricks meats are smoked fresh in-house - all day, everyday. They are smoked low and slow to melt-in-your-mouth perfection! 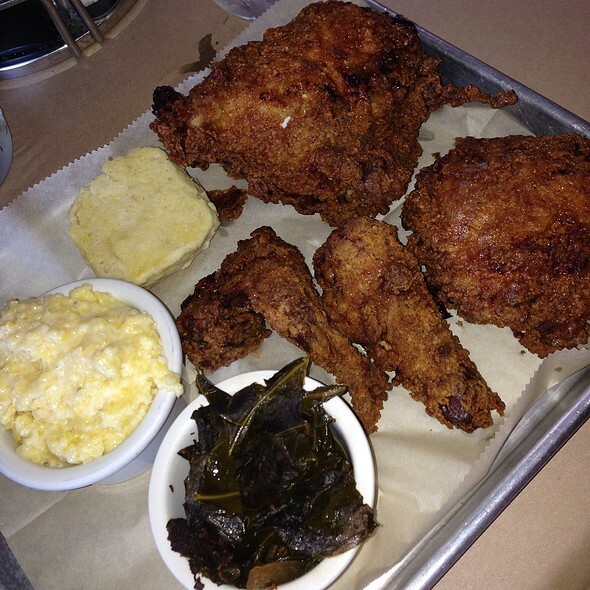 Other menu selections include made-from-scratch comfort foods like country fried chicken, meatloaf & chicken n’ dumplings, homemade sides & desserts using authentic family recipes, specialty cocktails & DOWN HOME southern hospitality. 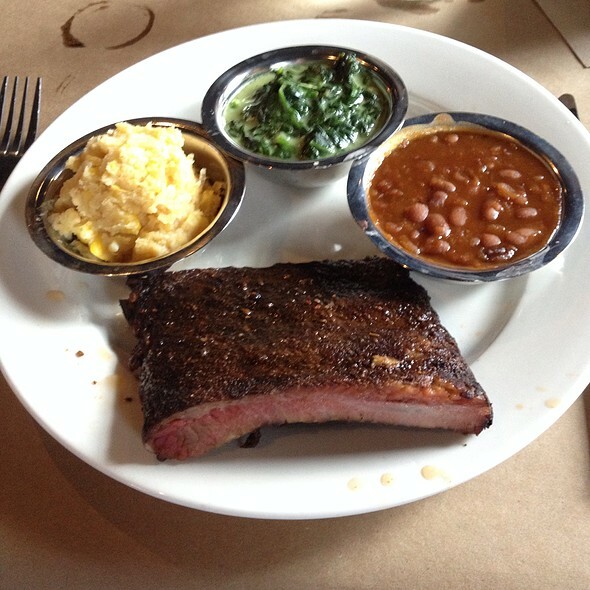 Choose from: Turkey, Brisket, Pulled Pork, Sausage or Ribs. Ask your Server About the Daily Lunch Special! Add Toppings: Cheese $1, Jalapeños $1, Coleslaw $1, Smoked Bacon $1.75, Fried Green Tomato $1.75, Smoked Brisket $3. Juicy & delicious, flame-grilled Certified Angus Beef mixed with "Lil' Willie's Love Rub" & our signature STL-style BBQ sauce; served with lettuce, sliced tomato, house made pickles & onion marmalade. Smoked bacon & crisp romaine lettuce served in a sun-dried tomato wrap with creamy green tomato jam. Smoked turkey, smoked bacon, lettuce & tomato with smoked vanilla aioli; served on toasted sourdough. House made pastrami & sauerkraut served on a hoagie with "1200 Island" dressing (our BBQ take on Thousand Island). Served with house made pickles. Tender smoked brisket, served with house made pickles & onion marmalade. Tender & juicy, lightly seasoned chicken breast; served with lettuce, sliced tomato, onion & remoulade. Crispy buttermilk fried chicken breast smothered in peppery white country gravy & topped with cheddar cheese; all on a buttermilk biscuit. 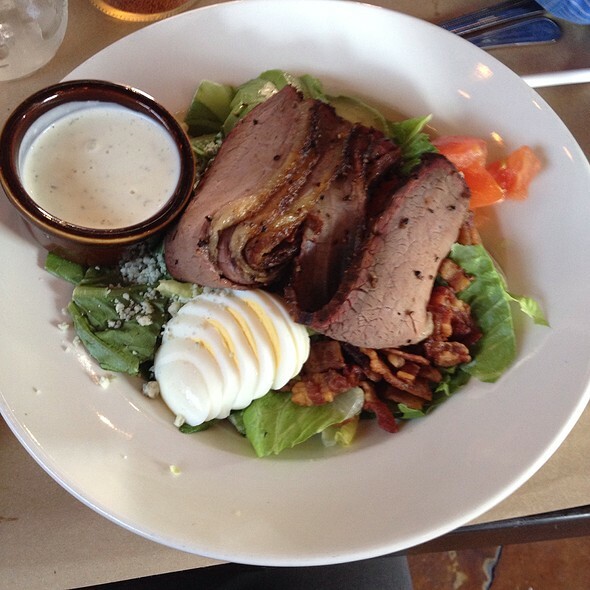 Dressing Choices: Balsamic Vinaigrette, BBQ Vinaigrette, Blue Cheese, Caesar & Ranch. Add Smoked Bacon $1, Add Smoked Brisket $3, Add Grilled Chicken $2.75, Add Smoked Pulled Pork $2. Chopped lettuce, Foundations Farms hard-boiled eggs, peas, smoked bacon, cheddar cheese & green onion melded with sweet, creamy dressing. Chopped lettuce, smoked bacon, diced tomatoes, Foundations Farms hard-boiled eggs, avocado, blue cheese crumbles & your choice of dressing. Add Cheddar, Sour Cream, Onion & Jalapeños $2. Smoked brisket, fresh vegetables, beans & spiced goodness. Choose any soup and half salad! Ask! With your choice of side item: Applesauce or Fries! The best BBQ in the St. Louis and Metro East area. We enjoyed our meal. Excellent food and service. Great BBQ. Kids loved it and loved the draft Old Fashioneds! This place is a hidden gem in St. Charles and they take reservations! We were able to get a reservation for 6 on a Saturday night no problem! The food and service was great and we can’t wait to go back! Great food. And the parking lot was far enough away from the flood it didn’t bother us a bit. 1st visit and was awesome. Will be back. Pork steak and nachos were awesome!! My husband and I loved our experience at Hendrick's! 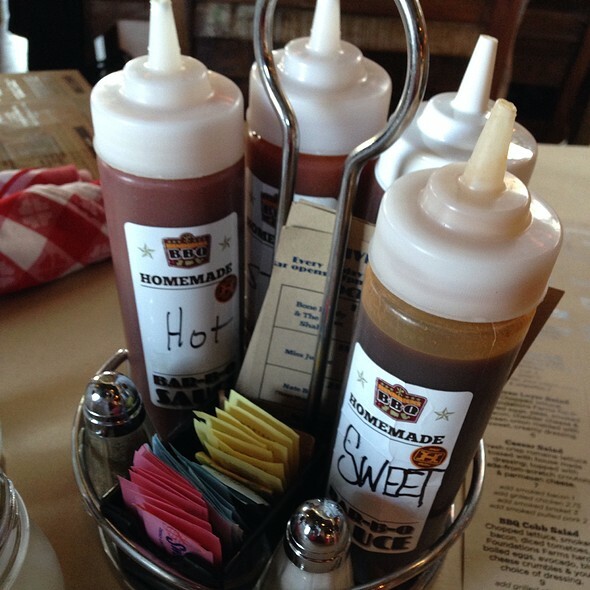 The food was excellent and our waitress was very attentive and took care of our needs quickly and efficiently! We will be back! Pulled pork and brisket was outstanding. Cocktails were fun too. We had a 7:00 p.m. reservation and got seated promptly. Lot's of food for a reasonable price. Best BBQ in the St. Louis area, hands down! Portions are substantial and value cannot be beat. We will always be coming back to Hendricks! Great food - as usual! 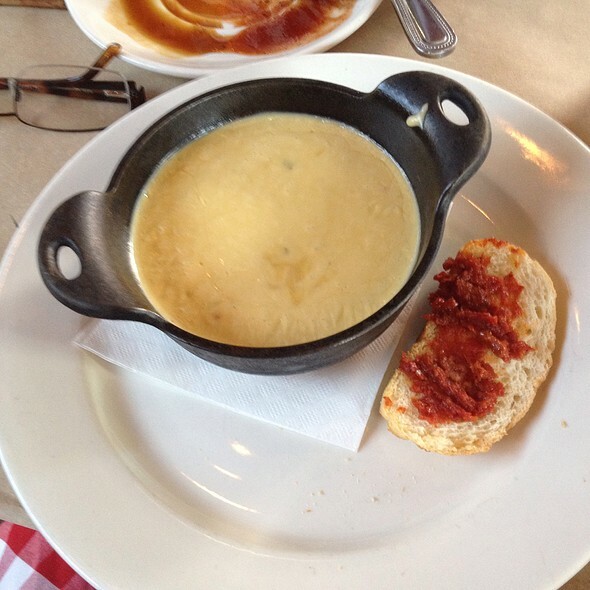 It had been awhile since we had been to Hendrick’s and I had never reviewed previously. The food was fantastic! I had the brisket and the turkey (I honestly want to order the turkey for Thanksgiving next year, never had better) and both were superb in flavor and tenderness. 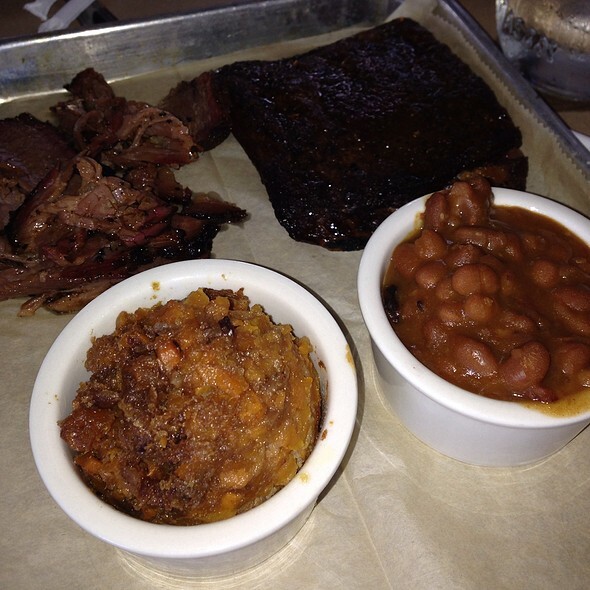 I had the baked beans and sweet potato fries which were also good. The servings were huge! The service was knowledgeable and attentive. The other 3 in my party all had sandwiches but raved about them and the Mac and cheese, the green beans and the baked potatoes. We will be frequent visitors to Hendrick’s BBQ! Awesome!!! Great food. This is my 3rd time eating at Hendricks and it gets better each time. Just a wonderful place all the way around! Super delicious food! Great service! Prices are fair! Love this place! We had a reservation for 4 for 6:45pm and were seated right away and ordered. Over an hour after ordering our waitress came and told us that they were out of baked potatoes (one loaded had been ordered for daughters meal, and one ordered as a side). We asked for a minute to figure out what to order instead and they proceeded to immediately bring out our food missing the potatoes so we would not have even been able to eat together. We left and won't be back. Manager did not apologize but at least comped our 3 sodas and rolls since that was all we had for 75 minutes. So many better choices out there. Food was amazing! Great meeting place for my family! 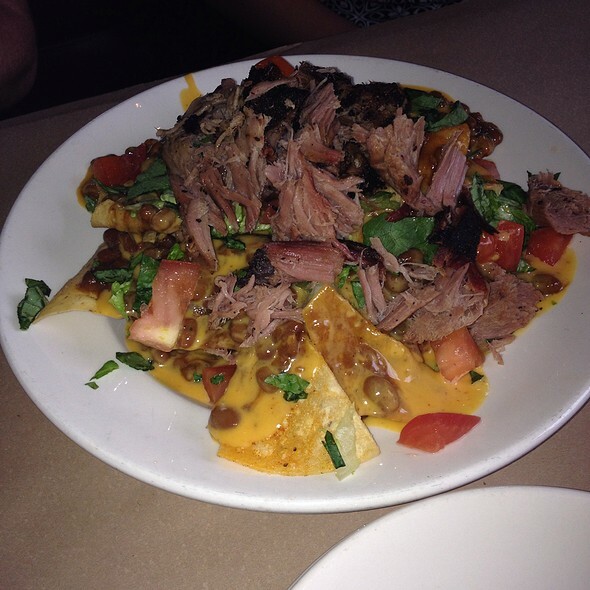 We have been to Hendrick's several times and the food is always good. Service is always good too, but Marissa was exceptional on this visit, if you go ask for her, you won't be disappointed! Cool spot with good atmosphere and food and service! Had a lunch date with my husband today and it was FANTASTIC!! I have wanted to eat here since visiting here this past summer. I was disappointed when I finally did. Our server was great and I should have complained when I got my food, but I hate to send things back. The slaw was ok, nothing special. My pork steak was tender in some spots, not so in others. The biggest disappointment was a premium baked potato that is $1 extra with sea salt. There was no salt anywhere on or around the potato as well as not quite done throughout. Even with butter and sour cream it was a bland affair. I wanted to love it because the restaurant looks so fun and interesting. Maybe they had an off night...I will leave bar-b-q to my favorites in Florida. The server was most considerate and friendly considering that it was Christmas Eve. Hendricks is or go-to BBQ joint in St. Charles when we have folks in from out of town, they never disappoint! Everything was great, as usual. The only mishap was I ordered the Chicken & Biscuit and as it was being delivered the server said they were out of biscuits. I asked for it just to come out when they were done cooking. It never came out, but the server comp’d it on our bill without question. Very nice and unexpected. We love this place! We usually get a good meal at Hendricks, but Saturday evening was very disappointing. The tap at the bar wasn't working so we weren't able to get the beer we ordered. They didn't have mint to make a mojito and they didn't have Bailey's for a coffee and Bailey's. 2 of us ordered the corn casserole; it was so dry we couldn't eat it and sent it back. They returned with green beans that had so much salt on them (plus they were not hot), we didn't eat them. The brisket was the biggest disappointment. We had 3 decent sized slices, but the majority of it was fat and gristle. We did have a good server. Had a reservation and got seated on time from there it was disappointing. After seated no staff acknowledged us for over 20 minutes, not even eye contact. We had to go to hostess to see if we could get water and service. They sent someone over and ordered appetizers along with our meal. The appetizer came out wrong and with the meal, instead of before. Half of our food was cold. What was warm tasted great. It was a disappointing experience and unfortunately will not be back. We felt like we were in the way just being there. Great service! I got the 4oz brisket and deviled eggs for my meal. The brisket was delicious but a little dry - i dipped it in one of the white sauces that came with the fries. 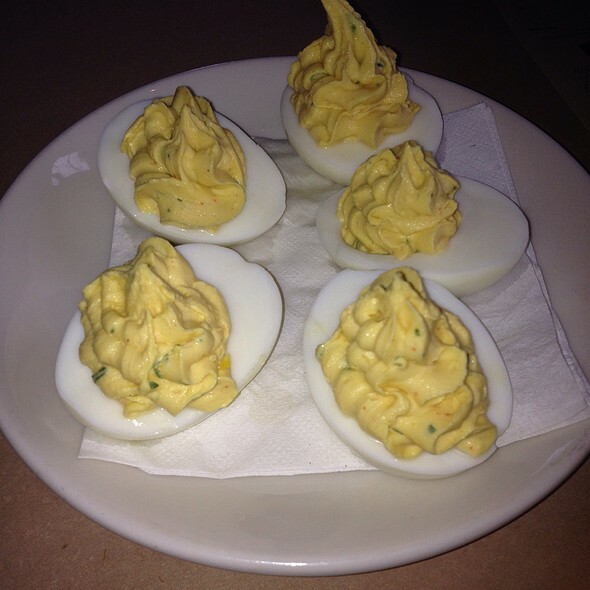 The deviled eggs were disappointing; definitely not as pictured on this site. They seemed old and watery - very little amount of yoke in the centers. We had a group of 6 and it was a little difficult for conversation with the music level. Food was cold and Bland ,the meat was real fatty. Nothing was lean about there meat. I love their food and their house made margaritas are the best that I have found since moving back to St. Louis. I also love that they also own Cathedral Square brewing, so my favorite beer is always on tap. My wife and I ordered half rack of ribs, which were delicious, but disappointed in the sides, which are not included with your meal. That in itself, was disappointing. Wife had potato salad and baked beans. I had baked beans and slaw. Sides very ho hum. The restaurant is very noisy, our server had to ask us several times what we ordered. Party of 6 for a Birthday celebration with a reservation. Seated immediately and we arrived early. Great service! Enjoyed the food and choices. Made reservation on Opentable for 7:00pm seating. The restaurant was only about 50% full, however a walk-in group of 5 had to wait 15 minutes for a table to open up. I hung out at the bar until my reservation. The bar/restaurant has a HUGE selection of bourbon & scotch and a comprehensive selection of craft-type beers. However, their selection of other spirits was limited to the standard bar fare. The meal was OK and the service was OK. 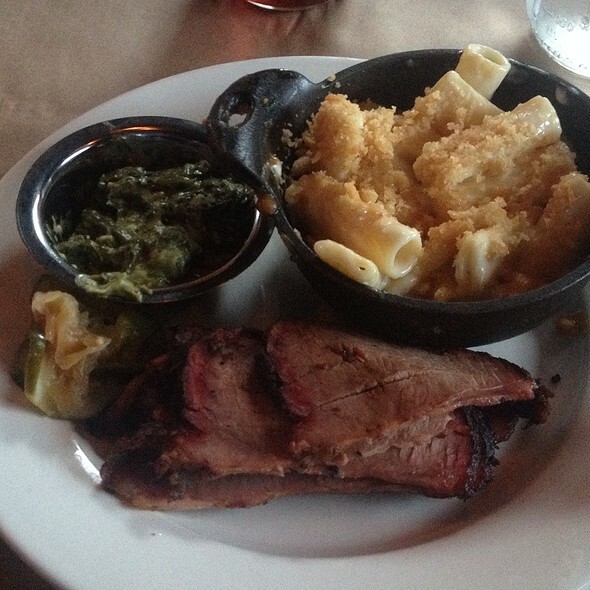 The macaroni and cheese dish was very good and the collard greens were nice too - not too soft, good bacon flavor. The brisket was moist and had good flavor. My server was not very attentive. In fact, I had to go to the bar to get a water refill. It felt more like a drinking place that served BBQ than a BBQ place that served drinks. Probably a cool place to hang out if you like bourbon, scotch and/or craft beers. I'd probably go again if I wanted to hang out with some friends. BBQ is very average and I ordered the brisquet. SugarFire brisquet is much better. The portions are very very small for $15 with no sides or even bread. The fried chicken sandwich on a biscuit was excellent. The side of spinach was very salty. Green bean side was ok. Fried potatoes were good but not freshly made. Server was attentive and helpful. Good atmosphere and decor. Best part was live music in the lounge below.